Advanced Topics in Structural and Functional MRI is a 5-day workshop designed for investigators with moderate familiarity with the fundamental principles of fMRI measurement and design, and some experience in functional neuroimaging data acquisition and analysis. The strongly interactive workshop will focus on using SPM12, FSL 5.0 and their extensions for preprocessing, statistical modeling and visualization of data associated with a range of basic and clinical fMRI experimental designs. Advanced topics related to analyzing both task-related and resting state data will be covered. While the primary emphasis will involve using the core SPM12 and FSL 5.0 programs for these purposes, there will also be extensive discussion of additional software tools. Some of these tools facilitate fMRI quality assurance through artifact detection and mitigation at various analysis stages. Other tools support a variety of data visualization methods, including MRIcron, xjView, and FreeSurfer. Principle of group level analysis: What are the options in SPM, FSL and AFNI? Other topics may be included, depending on class interest. Please email us if you have specific request. 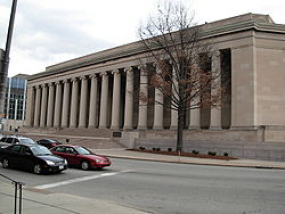 The course will be sponsored by and held at the Center for the Neural Basis of Cognition, Room 130, in the Mellon Institute Building in Pittsburgh, PA from August, 2016. Accommodations: There are rooms available at the nearby (5 minute walk from classrooms) Wyndham University Center. Rooms can be reserved online (easiest) or by phone.